Are people actually waiting for a real estate crash? There is no denying that we have officially-some time ago actually-entered an unchartered territory for Canadian real estate prices. Prices for houses and condos are through the roof. They are up some 10% in just the last 12 months which is quiet amazing! Some of these price increases are fueled by competition and price wars. Others speculate that wealthy Asian immigrants are fueling this even further, paying a fortune for what other average Canadians couldn’t, thus keeping the latter group from being able to get into the market. Which brings us to this question: are those would-be buyers, who can’t compete with the other buyers, waiting or hoping for a crash? We keep reading that a correction or a full crash is just a matter of time. 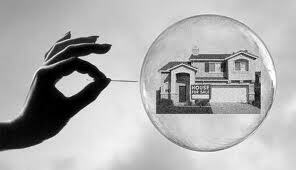 Both Macleans and Canadian Business magazines have predicted that the Canadian real estate bubble is about to burst. But what is the timeline and how would you know if it is a good time to buy? I think it is better to wait and play it safe for now. For one thing, the market is being flooded with condos and many of those would-be home buyers who can’t afford to buy a house will opt for a condo instead. In other words, the demand for condos will continue to rise while demand for houses will stagnate or even fall. This is bound to keep prices level or even down soon. Then there is the issue of Canadian debt-to-income which is at historical highs and that could accelerate a crash in the market. While we may not see a dramatic crash like that we saw in the US 4 years ago, it will still be significant and cause house prices to go down. And last but not least, there is the issue of interest rates which are at a historical low and are bound to go back up again. As rates begin to go up, less and less people will be willing to take the dive. That is bound to put pressure on the price of houses and condos. So to those who are waiting or even hoping for a crash, your wish may come true. When? that is the half a million or million dollar question. For now, just keep saving for that big down payment.